and did not include a lot of my own writing. Two months ago I started my 9th year blogging on the Internet. Where did the time go?! 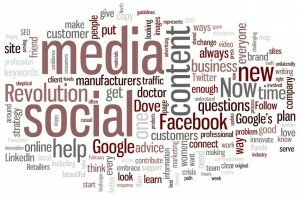 Back in the summer of 2004, blogging was still a relatively new undertaking. There certainly were a lot of people operating blogs and using websites such as Blogger and WordPress; however, it wasn’t a mainstream activity. If you turned and cast your attention to a group of friends, chances are none of them had a blog and only some of them would have been reading blogs on a regular basis. Over the years the blogosphere, as it is called, changed and blogging is a common and mainstream pasttime that has brought opportunities and even notoriety to millions of bloggers. As it was noted in a recent piece in The Atlantic, relatively few people make a lot of money at blogging. If you start to ask around about how others work with advertisers, the replies you will hear do not speak about major windfalls. However some serious bloggers have managed to turn their websites and off-shoot activities into a full-time job. More often than not these blogs become sites with a blog component, rather than simply being a weblog wherein you include your personal observations and thoughts about the world. In 2003 I first learned about the potential for blogging when I attended a talk at UBC that was put on by the Educational Studies department. Another junior fellow from St. John’s College, where I was living at the time, spoke about his own experience as a blogger. Erwin still runs his weblog. If you’re looking for an example of a long running and classic weblog, do check out Erwin’s blog. In the late 90s I tried to start a personal site but found the tools that I was using to be too fussy and lost interest in the project. 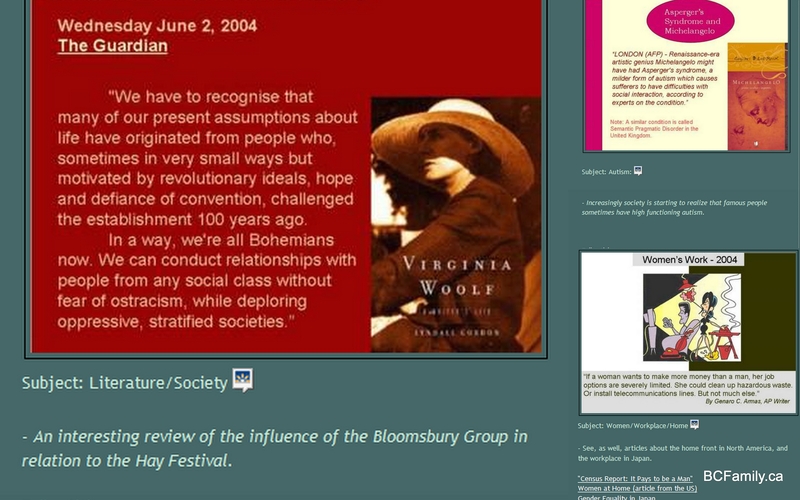 In May, 2004 , I decided to exercise my right to express my own opinions and started a weblog on Blogger. I’d had plenty of opportunities while completing graduate school to share my ideas but I wanted to be able to discuss any topic that interested me. I wouldn’t have to contend with someone telling me that I had to be silent because that person and his/her friends did not share my perspective. My experience outside of the classroom in graduate school taught me that the vocal minority often has the microphone in group settings. That’s all very well. Anyone is entitled to say what he or she wants. It’s just that this strong voice can often squash out the rest of us. Similarly if you’re the one nail that sticks out on an issue, a small group of people can hammer you down hard. You can also find that one person who does have access to more mainstream or highly visible media outlets can ridicule the ideas of less visible members of society. While we promote the idea of free speech, it doesn’t quite work out that way in society at large. So many years later I still remember this strong vision that I had. I decided that I would write positive content that didn’t include any isms. It would be my turf on my terms. For six years I continued to share topic on all types of issues. My main interests were education, children, family and topics related to women. After my twins were born in 2009, I decided to fine tune my vision. This resulted in the launch of BCFamily.ca in January, 2010. This site was designed to be a place to feature content about families, parents, children, women and community focussed ideas related to the Lower Mainland and British Columbia. Within the site I also included a blog area called Daily Dish where I dig deeper and share my personal stories. As time passed I set up a related Facebook page, a Twitter account and a related account focused on the education, research and media related issues that interest families. Pinterest has become a popular side interest for many bloggers. While I do have a Pinterest account, I decided to channel my pinning interests into an account on The Fancy where I could promote businesses in British Columbia and encourage e-commerce purchases. Without any promotional effort on my side, it has developed a strong following. In the past few days approximately 10,000 people have interacted with content on the account after it was featured by the head office. A highlight of my blogging experience so far happened in 2011 when I was chosen to be a top 30 blogger site for moms in Vancouver. 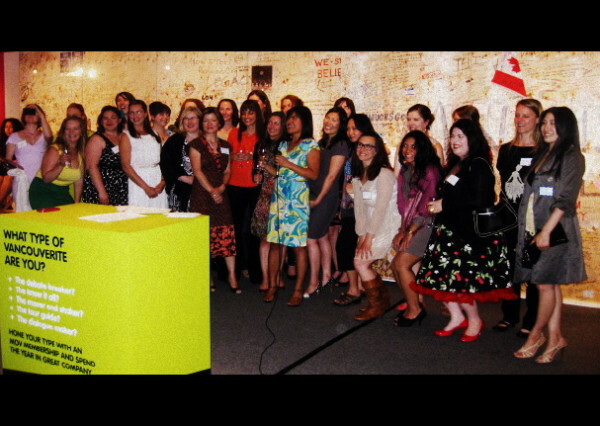 This event, put together by Christine Pilkington at VancouverMom.ca, gave me the opportunity to meet other female bloggers from British Columbia. Since I don’t get out much while I am raising toddler twins, this has been an invaluable experience. I am grateful for the support and encouragement family members and friends have given me over the years. Every now and then someone will say to me “I really enjoy your website/Facebook page/Twitter account” or “thank you for building community on social media.” I really appreciate this feedback and thank people who know me, or those who don’t know me personally, for visiting my content online. Since 2004 I have enjoyed the opportunities that blogging has afforded and recommend it as a pasttime to anyone who is interested. There are some truly beautiful and impressive blogs on the Internet, but don’t be intimidated. Everyone has their own unique voice and perspective and I can guarantee you that there are a group of people out there in British Columbia and around the world who will be interested in what you have to say. This weekend the #BlogHer12 is taking place in New York City. 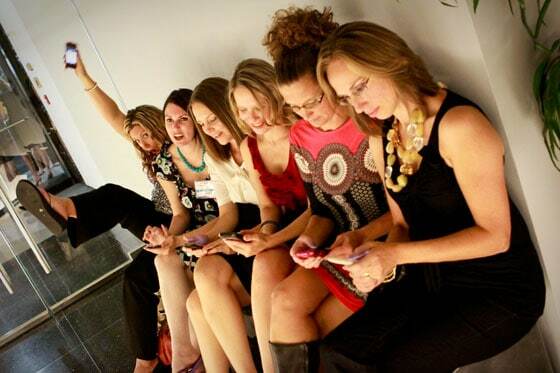 If you’re new to or thinking about blogging it’s highly unlikely that you’re one of the 5,000+ bloggers in attendance. 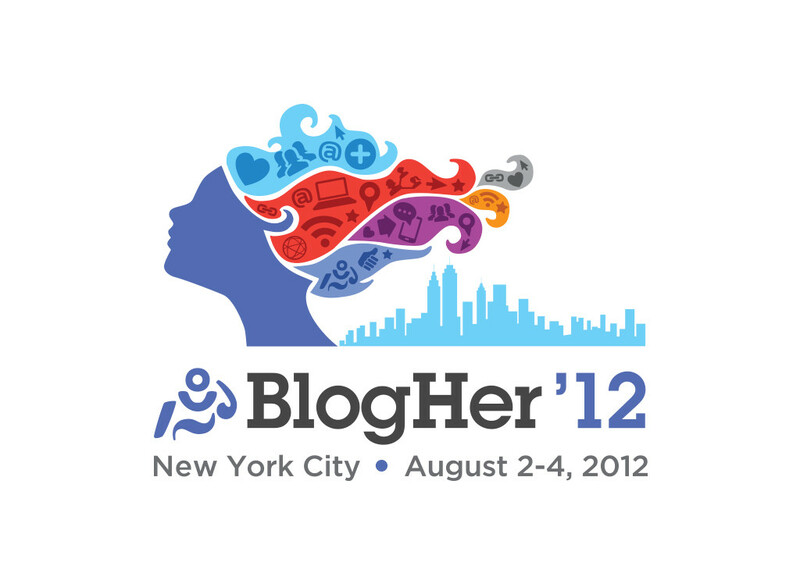 However this weekend there is a prime opportunity for you to check out the #BlogHer and #BlogHer12 hashtags on Twitter. The content you encounter will inspire and inform you. To all of you who are thinking about starting a blog I will quote my graduate adviser from grad school. Wow! You are a very experienced blogger. I was chosen to be one of the 2013 Top 30 Mom Bloggers and it has been a very exciting experience. I was first moved by the support and comments from the people who read what I write and who voted for me. I am new to blogging, This past June was my first anniversary! I have learned so much from all of the 2012 and 2013 blogger I am amazed of how talented you are and I get to learn and hopefully help you out anyway I can. I didn’t get to meet you at this year’s celebration but hopefully we get to meet soon. My email was wrong in the last comment, stay in touch! Congratulations on your first anniversary, Karina. I have enjoyed looking at your site because I LOVE natural stone. In an ideal world, I’d have it all over my property. I enjoyed your recent piece RE minimalist and luxury gardens. I hope you’ll write more about these types of topics.